Bold hues and a seamless style merge to form an accessory that erupts with charisma. As good as it looks, its texture might just be what wins you over. It's made from soft-touch polypropylene with an ultra soft, super shiny pile. Style and substance—the Miller is a memorable piece. 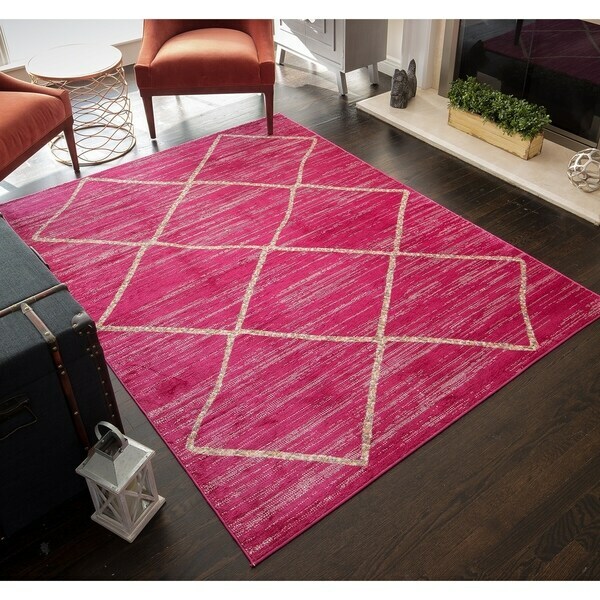 Tours Dark Gray Overdyed Damask Area Rug - 5'3" x 7'3"
Safavieh Monaco Amelie Vintage Medallion Pink/ Multi Rug - 5'1" x 7'7"